With the beginning of September came a slew of events within the Capcom Pro Tour. From the East Coast’s Summer Jam to China’s Final Fighters, here are the top moments gathered from all four tournaments during this busy weekend. This year’s Final Fighters was the weekend’s only Premier event. Taking place from September 1st – 2nd, the brackets were stacked with Asian killers and international travellers alike – some more than others. Some of the game’s top players were set to duke it out early on in the tournament, with brackets A and B pitting the likes of Fuudo, Haitani, Momochi, and Nemo against one another. Other players appeared to have an easier time, with Quanba x Douyu Xiaohai having a relatively safe bracket along with Alex Myers. Myers made an apologetic statement regarding his seeding, stating that he didn’t feel good about his placement due to a “lucky draw”. I can't even really be salty, but it stills hurts to lose.. I'm happy I got some points at least, but I don't feel good about getting so far because of a lucky draw. I want to really earn my points and lose or win fairly. Hopefully I can make these type of placements for real. In addition to unbalanced brackets came news that the tournament was being played on PC rather than the PlayStation 4. This caused a plethora of issues for arcade sticks, with the sticks’ drivers needing to be installed on the PCs, while some controllers had trouble being recognised at all. One PC even prompted an update during a tournament match, as caught by Fuudo. While steps could have been taken to prevent random updates and driver issues, this tournament follows the cry for PC-only tournaments, due to the PS4’s overheating during 24-hour events and the overload of Bluetooth traffic at majors. Philadelphia’s Summer Jam threw down from August 31st – September 1st, marking one of the weekend’s first Ranking events alongside France’s Ultimate Fighting Arena. The tournament featured some of the United States’ heaviest hitters, including former Capcom Cup champion NuckleDu, Toi, and Snake Eyez among others. Punk was also in attendance. Since his second place at Evolution 2017, Punk has had a difficult time making top placements in the 2018 season – until now. Punk managed to stay in Winners’ side throughout the entirety of the tournament, dispatching Samurai and Nephew with ease. He went on to fight NuckleDu in Winners Final of Top 8 and took the set in a close 3-2, set to fight Toi in Grand Finals. Toi has worked hard throughout this season, taking the Red Bull Conquest qualifier in Dallas as well as making 17th place at Evo 2018. His Bison was no joke – but Punk’s Karin had the matchup all figured out. Punk took Grand Finals 3-0, winning Summer Jam – and on his mother’s birthday, no less. With wind back under his sails, fans are expectant of more strong performances from the young fighting game pro. France’s Ultimate Fighting Arena was a massive showcase of EU’s talent pool. Another Ranking event in the September weekend, the event spanned three days and saw some cutthroat action from the region’s best talent. With names like Phenom, Luffy, and Problem X, the tournament was set to be a bloodbath. While AngryBird has made decent placements throughout the 2018 season and is known as a dangerous player, his character’s strength came as a surprise. 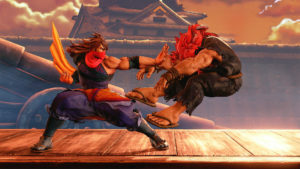 Zeku is one of Street Fighter’s newest characters and is a bit of a trick to master – as two characters in one, Zeku possess an array of tools and abilities, all of which AngryBird utilised in his UFA run. AngryBird stood strong in Winners’ side throughout UFA, taking out Akainu and MisterCrimson to make Top 8. AngryBird was set to fight EVO champion Problem X in the Winners’ Semi-Final and took the set 3-2. Phenom was next on his list in the Winners’ Final: since Phenom’s recent win at Germany’s Fight Club NRW with Guile, his character choice was up in the air. Phenom decided to go with Necalli, and AngryBird won the set in a convincing 3-0. This put him in the Grand Finals, where he fought Phenom’s teammate, Momi. It was Cammy vs Zeku, and AngryBird proved the power of Bushinryu Jujitsu over Delta Red techniques: He took the win over Momi 3-0, moving his rank within the CPT from 105th place to 47th place. Following the devastating Hurricane Maria in 2017, Puerto Rico’s Ranking event returned – this time better than ever. As usual, the event featured some of the region’s top competitors, as well as some killers mainland from the mainland. Smug dealt major damage with Balrog, while CJ Truth put on a solid showing with Cammy. His prowess landed him in Grand Finals against last year’s champion, Caba. Caba ended up taking the win despite CJ’s bracket reset, proving himself the best Guile in the Caribbean. That wasn’t the only feel-good moment of the tournament. The fact that the tournament returned at all was a testament to the Puerto Rican FGC’s solidarity. 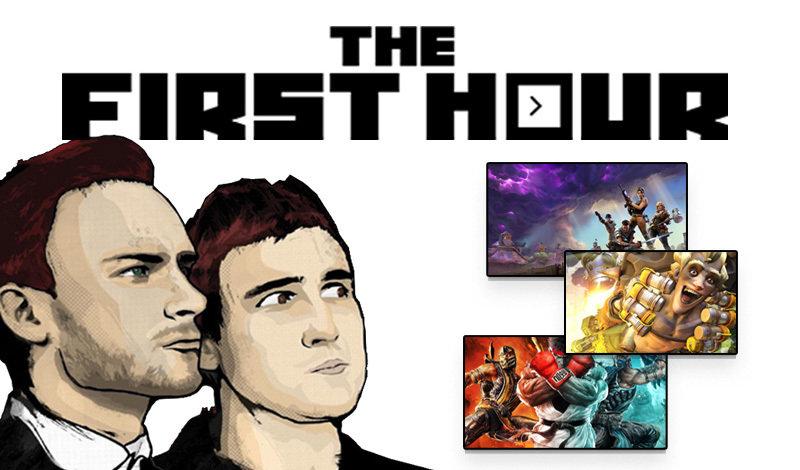 On the heels of such a debilitating natural disaster, the community banded together to throw a tournament celebrating a shared love of competitive gaming across an array of titles. The first weekend of September marked a big moment for the CPT. From the Far East to the tropical lands in the Caribbean, fighting games were celebrated all over the world.